Get ready for something different; Velo Vie Bicycles is pleased to present their bicycle line and innovative business model to bicycle retailers, manufacturers, and cyclists from across the world. Velo Vie will have a booth at Interbike Las Vegas; North America's largest gathering of the bike industry. Interbike takes place at the Sands Convention Center from September 26-28, 2007. Velovie.com features a highly intuitive, user-friendly interface for selecting from a variety of state-of-the art bicycle frames with countless exclusive features including the unique Velo Vie Carbon Axis Technology. This carbon-based formula makes Velo Vie among the most lightweight, aerodynamic bicycle equipment available anywhere. Customers can select bicycle frames designed for Road, Triathlon and Time Trial uses, and then truly customize their bikes with a vast selection of components from top vendors. The company supports its customers with a technologically-advanced support system available via telephone and e-mail, making the purchasing process simple and fast. Velo Vie has had tremendous success working with teams and individuals and they are very motivated to build their dealer network at Interbike. Their unique online purchasing system allows for distributors to customize their bikes to individual specifications, buying only what the customer needs, and significantly streamlining the purchasing process. Distributors and clients can work side by side online to build their dream bike, with instantaneous pricing and availability. Velo Vie looks forward to meeting with retailers around the world to grow their dealer network and work with like-minded businesses to promote the sport of cycling and healthy lifestyles. Velo Vie welcome dealers, teams, and individuals to stop by their booth and check out where Velo Vie is leading the industry for 2008. Velo Vie is a Scottsdale-based company, founded in 2006 that manufactures and sells high performance and racing bicycles direct online. The company offers highly customizable bicycle frames featuring the Velo Vie Carbon Axis technology. Velo Vie offers consumers top quality components through its relationships with manufacturers such as Shimano, Campagnola, SRAM, Zipp, Fulcrum, Reynolds, Easton, Vision, Profile, Ritchey, FSA, Deda, Rolf, Time, Speedplay and Look. Velo Vie and Carbon Axis Technology are trademarks of Velo Vie. All other trademarks and brands are the property of their respective owners. 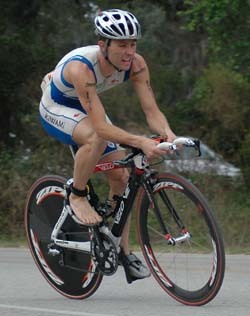 For more information about Velo Vie, go to www.velovie.com, call 1-877-VELOVIE. Or email Press@velovie.com.